Abacus will be showcasing the larger and longer Gemini 2000 bath, BioCote antimicrobial protection and a CPD assisted bathing seminar at Kidz to Adultz Middle. Thursday 21st March 2019, 9.30am – 4.30pm, Ericsson Exhibition Hall, Ricoh Arena, Coventry CV6 6GE. Stand E14. 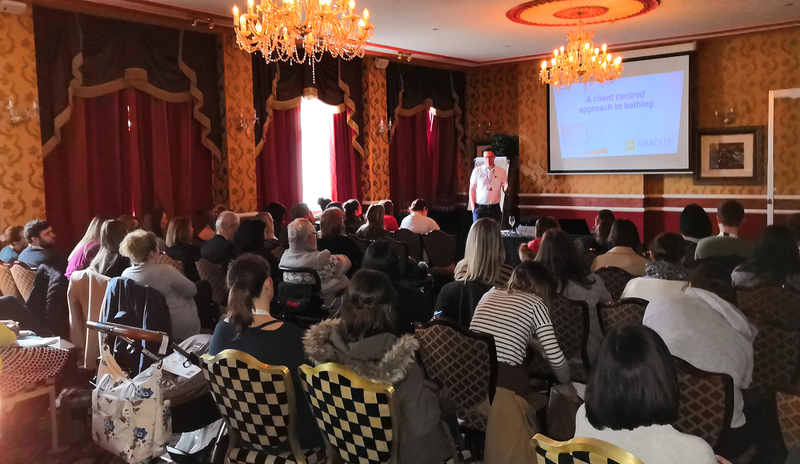 The bathing seminar presented by Adam Ferry, Occupational Therapist (OT), in association with Abacus Specialist Bathroom Solutions, delivered the highest attendance at the recent Occupational Therapy Adaptation Conference (OTAC), Chester. Ramble Tag is one of the entries to our Blackwood Design Awards and yet is already something of a success story. From it's fairly humble beginnings as two neighbours dog walking and an old luggage handle to a successful Kickstarter to a fully fledged product already being used in major airports in the UK. Abacus Specialist Bathroom Solutions, a ‘go to’ choice for Occupational Therapists seeking assisted baths, has experienced a highly successful OT Show through its diverse educational presentations, Gemini 2000 launch and BioCote introduction. Disability, Accessibility & The Psychology of Style - "Madam, in My Experience People in Wheelchairs Prefer not to be Noticed" & Other Misconceptions. London Marathon runner fund raises for disability charity Mobility Choice.